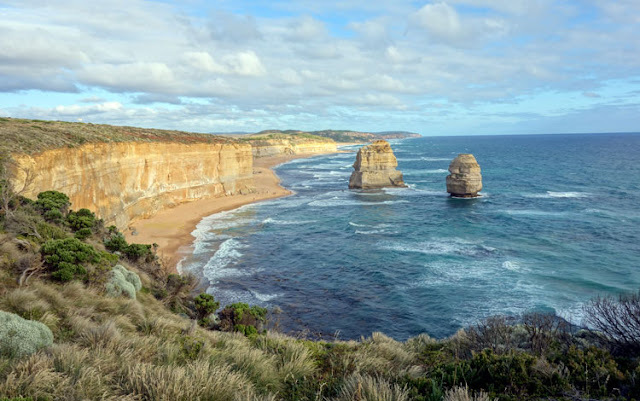 We were looking for an affordable Great Ocean Road Sunset Tour, the normal price is about AUD 120 for the peak period of December. The sunset tour is slightly more expensive than the day tour. 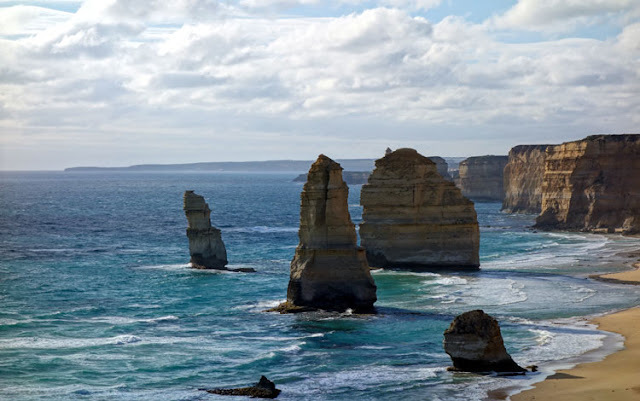 Finally we found a deal from a website called OZnet, where we got the cheap Great Ocean Road Sunset Tour for AUD 77,5 per person, including sandwich for lunch! 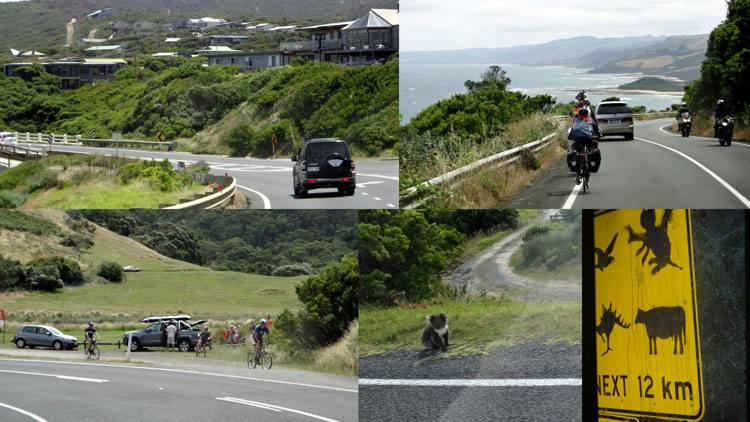 On the next day of our booking, we got an email confirmation from bunyip tour. That time we knew that Bunyip would be our tour provider. 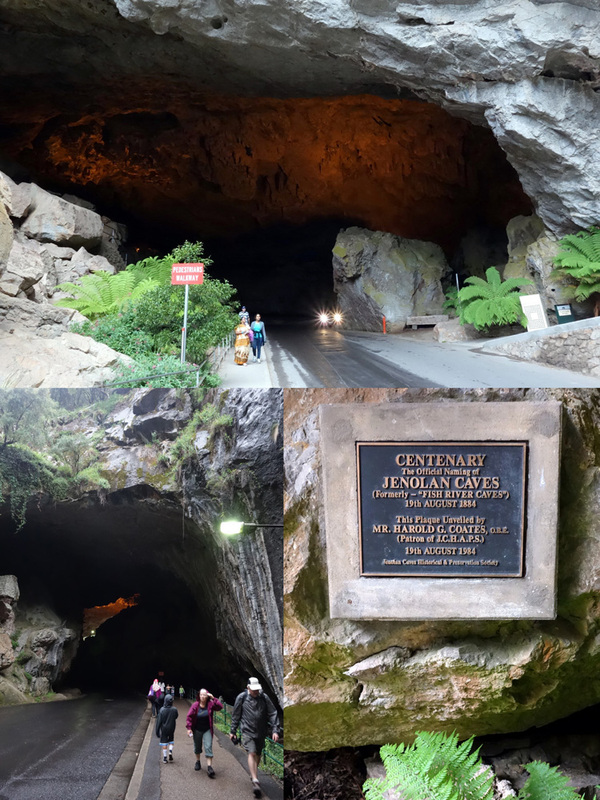 On Dec 27, we were picked up at our hostel in Melbourne at 10.30 am. There were only 6 tour participants on the bus when we jumped in. We made some stops at other hotels, and stopped at Bunyip office to pick up some other groups. We left Bunyip office at 11.30 pm, and started our tour. Unfortunately we had to pass the traffic jam just outside Melbourne. Our driver and tour guide, Steven McDonald is a lovely guy. 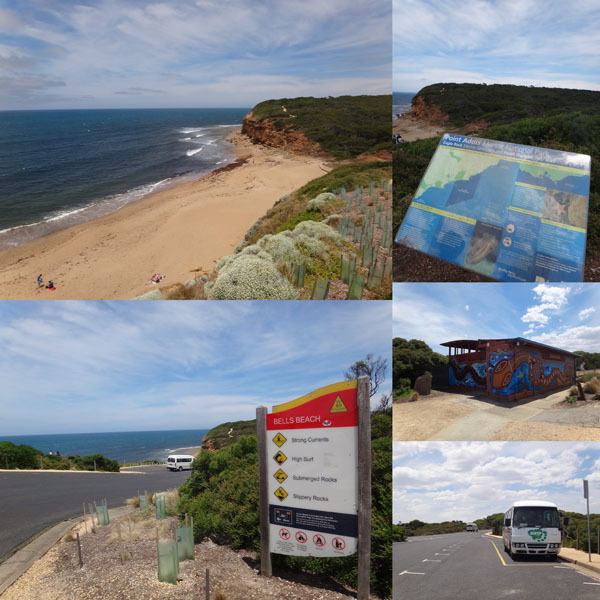 We stopped first at Bells beach (one of the famous Australia's surfing beach) at 1 pm and had our toilet break and also the coffee break (biscuit, coffee, tea). We continued our journey and enjoyed the scenic route. Beautiful view! It would be lovely if we could do a Great Ocean roadtrip from Melbourne. Look... we found a koala on the street! 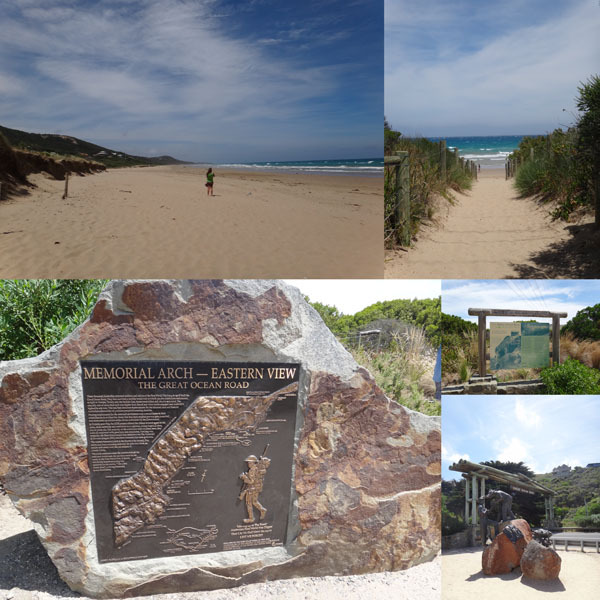 We stopped for 30 minutes at Apollo Bay, it is a lovely town. How I wish we could spend one night there. Maybe next time? :p We bought a fish and chip at Apollo bay for our late lunch. 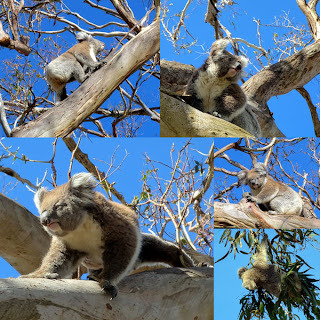 Before going to the 12 apostles, we stopped by on a road where we could see koala on the trees. They are sooo lovely!! At 6.45 we finally arrived at the 12 Apostles. 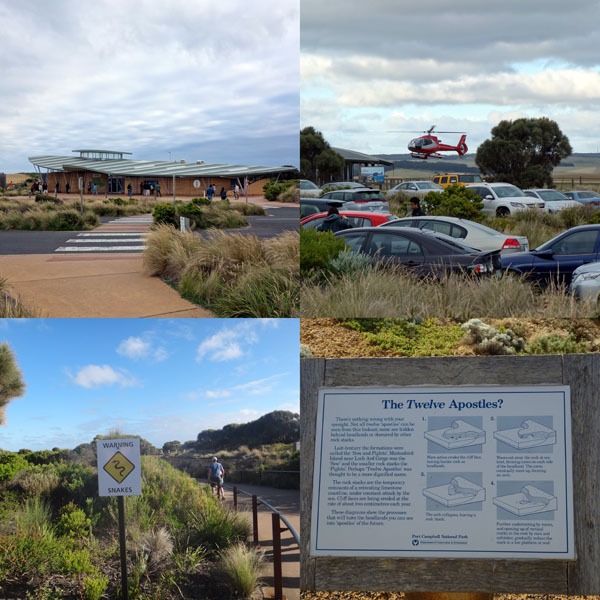 There were two group of us, 1 group went to take the helicopter flight, 10 minutes for AUD 80. 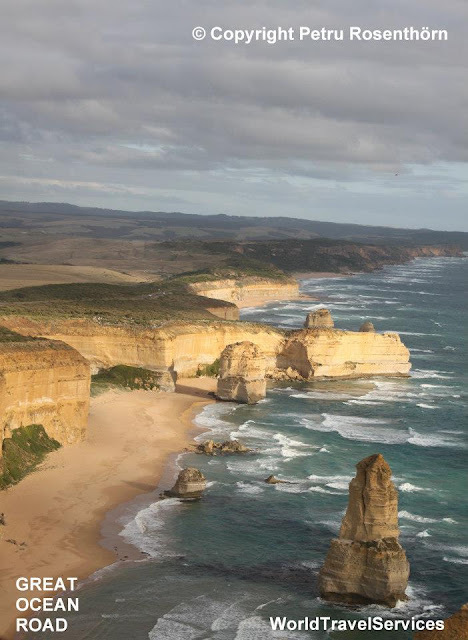 I had forced rene to take the flight, but he said it's not worth it and he prefers to take the picture of 12 apostles from the lookout. It was really cold to walk from the parking place to the lookout. But when we saw these views, we forget how cold it was:p This place is worth a visit, really! 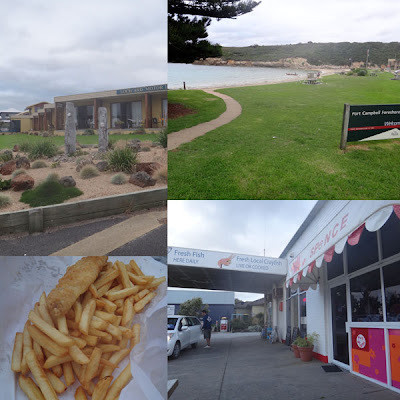 Our last stop was Port Campble where we bought another fish and chip for our dinner. 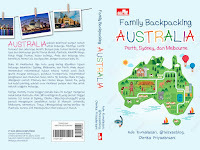 Free dowload travel ebook by tesyasblog "Pieces of Melbourne" written in Bahasa Indonesia, could be download in this link. Iyaaah GOR bagus, tapi lebih bagus lagi ke Tasmania deh..apa udah? Dan aku ngiler liat posting south africa nyah! Wah kapan tuh bisa kesana..
Hahah makanya kesana lagi donk, ulangi fotonya. Ditunggu ya ceritanya tentang GOR di blog Timo:) For me, next time pengen selfdrive ya, kemarin ikut tour kurang puas rasanya hehe..
Masih penasaran pengen balik lagi dengan slow road trip. 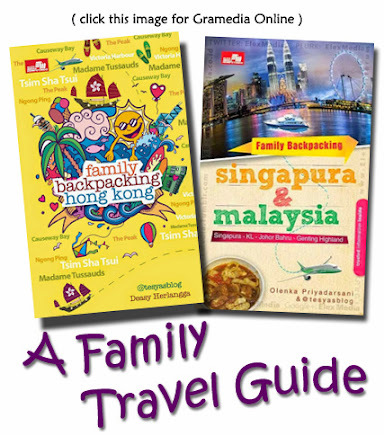 Setuju banget The Emak, kayanya enak road trip dan nginep di deket sana ya..
Mbak Tesya , book ticket GOR-nya via web-nya apa dadakan pas nyampe di Mel ? 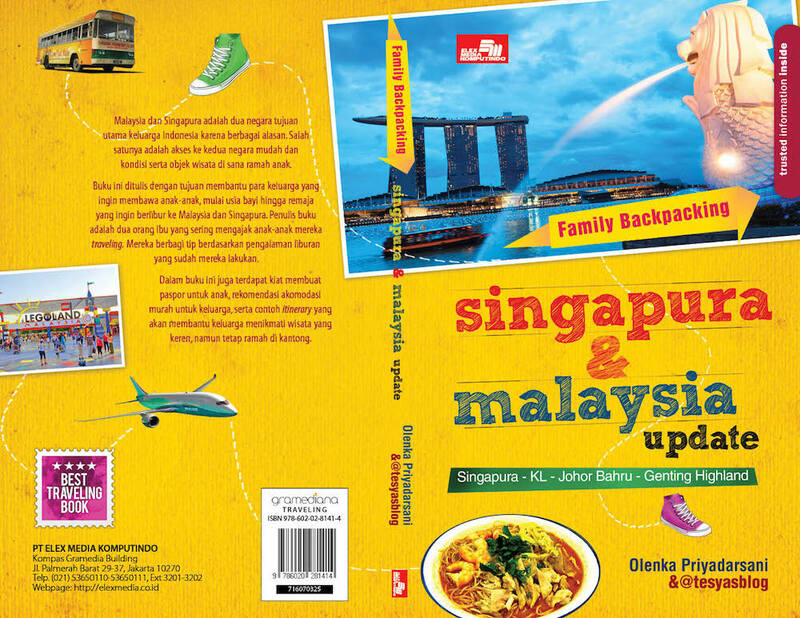 Mbak Tesya, proses bookingnya gmn klo pake oznettravel.com? Kita bayar ke web ini, trus gmn? Hai...bayar nya pake cc di web oznet kalo aku dulu sih..